When I started blogging (what seems like forever ago) it was one of those things that just felt like a fun and creative way to pass the time when I wasn't working. 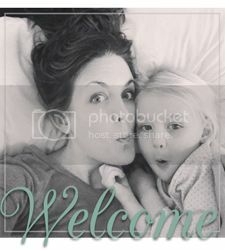 Once I had kids blogging became a journal and an escape from feeling alone as a stay at home mom. Now, I want it to be more than those things. Because really, "passing the time" isn't on my to do list at this juncture in my life. I have mentioned before that I am now here to blog big or go home. I have dreams and goals and hopes for my writing now that I didn't really focus on before. I want to call myself a writer. I want to be taken seriously for the time I take to blog. I want to take myself more seriously. SO, once I came to this decision to throw my free time at this blog with a vengeance, I decided it was time to educate myself a little more about blogging. Holy crap. These days everyone's a blogger. I'm good with that. I say the more the merrier. But, that means that there is a science to this. There is a world of knowledge and just because you can write or take pretty pictures doesn't mean you will succeed. There are things called TWITTER and HASHTAGS and SEO. In the past week or two I've really begun the process of learning, and I must admit it feels great. I forgot what it was like to really dig deep and learn about something. In fact, I'm thinking this is just what the therapist ordered. Totally immersing yourself in education about something can be exhilarating. I am taking two e-courses, I have a blogging group, and I have the full support of those around me. I'd say I'm off to a good start! I have made the conscious decision that if I never really get very far beyond where I am now with this blog that's okay. It has helped me in ways I never knew possible. So thank you for reading. And thank you for being patient with me while I learn about the ins and outs of this place. Keep it up, Jana. You are a fantastic writer and have a lot to tell the world. I love seeing when there are new posts and am so excited to see where this is going to take you! Thanks Kimmie! I so appreciate the support more than you could possibly know. I've always told you to follow your heart. Yes, learn the ins and outs of blogging. But always be true to yourself. What makes one writer successful might not work so well for another writer. I'm not a blogger and don't pretend to know the science of it. What I DO know is that you have a gift. And when you write from your heart, you captivate readers, and science becomes a non-issue. You're off to a fabulous start. I'm so happy to be right here with you!! I love you. Thanks mom! You should be writing too you know. I'm not sure you would love blogging, but you should be writing in some capacity! "There are things called TWITTER and HASHTAGS and SEO. " Ha! You are so talented and brave - I love that you are calling yourself out on your own blog to "blog big or go home". I'm not sure if calling myself out is a good idea or not, but it's done now! Thank you, as always, for the constant support. i love your blog… especially how you can 'say' exactly what i need to hear and wish i could say! Thank you Kim! You need to get back to blogging too. I'm not saying you have to "blog big or go home" but I loved reading your blog as well! Hey Holly! So glad to have you stop by. I totally get what you mean. It seems like there's so much that goes into it. I think there has to be a major balancing act of staying true to your writing and trying to grow your community/readership at the same time. I also think the Create Freedom Course is helping me to see that I can be authentic in my writing AND be productive and efficient with this blog too in a way that helps me reach my goals. Look, I am even starting to sound like Kyla ;-) Regardless, I have been blogging for what feels like a very long time too. I'm just now taking the steps to really bring it to people beyond my family and friends. I don't have answers to your questions either but I too have thought about them! Thanks again for visiting Isn't She Lovely.